Sometimes it seems like we should have been born with tissues under our noses. Believe it or not, an estimated 50 – 75% of the population suffers from allergies of one type or another. Did you know that children miss more days of school due to allergies than any other health condition? What does this mean in terms of your child’s grades? Self esteem? And what about ADD/ADHD (Attention Deficit Disorder/Attention Deficit Hyperactivity Disorder)? Did you know that 89% of children diagnosed with ADD/ADHD in Western medical testing tested positive for food dyes? We have found these and many other common allergens in children. In general, people who have allergies react to substances that may be harmless to other people. Unfortunately, since most people don’t have immediate, violent reactions when exposed, it can be very difficult to identify the allergen. It is far more common to have less dramatic—even subtle—reactions that occur hours or even days after eating, breathing, being exposed to or touching an allergen. Some symptoms are so subtle and persistent that many people don’t even realize they are suffering from an allergy. We find this to be especially true with our patients. In our practice, it is not only important to identify what you are allergic to, but it is equally as important to correct the reason behind the allergy. Avoiding eggs and shellfish, or getting shots to desensitize you to ragweed, does not solve the underlying problem…what is the cause?Why is your immune system so confused that a harmless substance looks like a foreign invader? We have found that many people have allergies or sensitivities to basic nutrients and foods. These alone can lead to hundreds of different symptoms including asthma, attention deficit disorder, ADD/ ADHD, chronic congestion, fatigue, migraines, sleep disturbances, digestive issues, etc. The problem is that some of these “allergies” compromise the basic function of our bodies. For this reason, once an allergy develops in many cases, it may not be long before other allergies appear. Unfortunately, this often becomes a vicious cycle. Your system is weakened due to illness or toxicity, and you develop an allergy to something that has never bothered you before. Every time you encounter that allergen, symptoms develop that further weaken your body. This is especially true if you have not yet identified the allergen and are not practicing avoidance. Unfortunately, it is at this point that many people often experience more allergies. Therefore, each time you’re exposed to a new allergen, this exposure further weakens the body. Where does it end? True desensitization does not require weekly shots in an allergist’s office; it comes from correcting the underlying energy imbalances (the cause) that exist in the body. 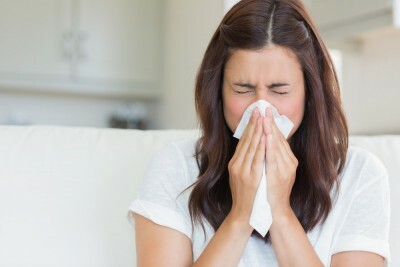 Although allergies are extremely common, it is neither natural nor necessary to suffer from them. You can correct them now and enjoy a symptom-free life. With the Spring months upon us…NOW is the time to act. To learn more, call us at 519-736-5353 to schedule yourself in for a free Allergy information session.